Pastor Jay joined us at JPC, February 2013. Since that time we have been trying new things, finding new ways to serve the Lord, and growing. 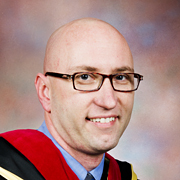 Pastor Jay grew up in Pittsburgh, Pennsylvania, and attended Pittsburgh Theological Seminary for both his M. DIV. and his D. MIN. Pastor Jay’s D. MIN. is entitled “Fight or Flight: Dealing with Difficult Churches”. He is overjoyed that JPC is NOT one of those churches! He has served churches in Indiana, Pennsylvania, and North Carolina. Most recently he served Poplar Tent Presbyterian Church in Concord, North Carolina. Pastor Jay and his wife Erin have three children, Joshua 14, Jordan 12, and Julia 9. Pastor Jay loves to run, ride mountain bikes, and read. Erin loves cats and dogs and one day hopes to open her own pet-sitting business. We are all excited about our new Senior Pastor and look forward to the direction God is calling us! Judy attended UNC and graduated with a BS degree in Pharmacy. While at UNC, she met her husband Art and they married in 1971. They have 3 sons and 3 grandchildren. Judy worked as a pharmacist for 35 years in NC, DE, CA and IL. During her pharmacy career in CA, Judy served as Pharmacist liaison for Hospice, Extended Care Facilities and Residential Care Facilities as well as retail and closed door pharmacy. She also earned a credential in Geriatric Pharmacy. 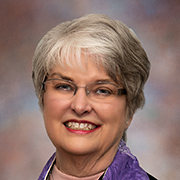 Judy entered the University of Dubuque Theology Seminary in 2009. She was ordained in the Presbytery of Chicago and received a call to serve as Pastor at First Presbyterian Church in Connersville, IN. After serving for 4 years, Judy and Art returned to NC to be closer to Judy’s parents. 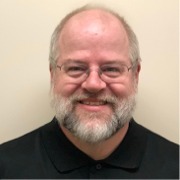 Brian Stroud has joined the staff of Jamestown Presbyterian Church as the Interim Director of Youth Ministry. Brian is a graduate of UNC-Chapel Hill, where he double majored in Religious Studies and Management & Society. Brian was a member of the JPC Youth Group both in middle and high school. He was awarded 15th Annual Lane Pleasants Memorial Scholarship when he graduated from Southwest in 2014. During his time at Chapel Hill was involved in Relay for Life and was a Young Life leader to middle school students for three years. Brian is currently living in High Point with his parents, Randy and Eileen. Sammie Braxton is a long-time church educator, having served at Oak Ridge Presbyterian for the past 10 years and at First Presbyterian in High Point for 16 years before that. Sammie and her husband, Steve, came to High Point in 1972 when Sammie became the Director of the Child Development Center at First Baptist Church in High Point. Sammie and Steve have four grown children and three grandsons who are age five and under. Steve is mostly retired but still serves Trinity Presbyterian Church in Elon on Sundays and Wednesday evenings. Sammie and Steve love to travel and continue to participate in mission trips, especially in South Africa. Sammie loves yoga, walking three miles every day, playing with her grandchildren, reading, and cooking family recipes. Jen was born and raised in New York and moved to North Carolina in 2000 with her husband. Even though she is a northerner, NC is truly home. Jen graduated from St. John’s University with a degree in Criminal Justice, and she worked as a paralegal in both NY and NC prior to becoming a stay at home mom when her first child was born. She joined the wonderful staff here at Jamestown Presbyterian Church 12 years later. Her son attended the preschool here for three years, and she is just thrilled to be back at JPC! Jen loves all things Disney, enjoys traveling and spending time with her family, watching her daughter dance and play softball, watching her son play soccer and she also enjoys reading. Jon was born in and grew up in Alaska. He received the B.A. degree in vocal performance from George Fox College in Newberg, Oregon and the M.M. and D.M.A. degrees in choral music from the University of Cincinnati College-Conservatory of Music. While working on the M.M. degree he met his future wife, Donna (guess where) in choir class. The Brotherton family came to Greensboro in 1998 and began music ministry at JPC in the fall of 2000. 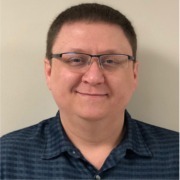 Jon is also the Associate Chair of the department of music at Greensboro College, the director of the annual North Carolina United Methodist All-State Youth Choir and the director of the 120 voice Choral Society of Greensboro. The Brothertons have four children; Kayla, Matthew, Michael and Nicholas. Donna grew up in Fairfax, Virginia. She began singing and playing for her church at an early age and attended the Peabody Conservatory in Baltimore and the University of Cincinnati College-Conservatory of Music where she received her B.M. in Vocal Performance (and incidentally, where she met her future husband, Jon). 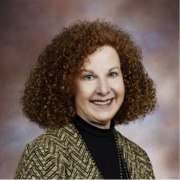 For several years Donna taught private voice and piano lessons and Kindermusik classes for various organizations including the preschool at JPC. 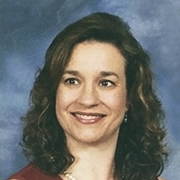 In 2005 she began teaching choral music at Weaver Academy in Greensboro and recently earned her Master of Music Education degree from Shenandoah University Conservatory of Music. Donna and Jon began music ministry at JPC in the fall of 2000. The Brothertons have four children; Kayla is working on her master’s degree in voice at UNCG. Matthew is studying psychology at Greensboro College. Michael is studying trumpet at Gardner-Webb University. Nicholas is about to graduate from GTCC Jamestown, and will study history at Greensboro College beginning this coming fall. Chris grew up on Virginia’s Eastern Shore. He was always active in church and in the band at school as well as other community events. Chris is currently in his 11th year teaching band at Northeast Guilford Middle School. He has played professionally with local groups such as West End Mambo and the Greensboro Big Band, and he plays weekly at Jamestown Presbyterian Church for their contemporary praise and worship service. On top of being a part of the worship team and assistant chancel choir director, Chris composes many of the songs for Decided “the JPC Praise Band” and arranges the horn parts for other songs that Decided plays. Chris has been with Decided since its inception in July 2000. A native of North Carolina, Tara holds a computer science degree from Appalachian State University. Tara and her husband, Mike, joined JPC in 1996. They have two children, Andrew and Jessica. Outside of her financial office duties, you might find Tara on the tennis courts. Joan Aydelette has joined the staff of Jamestown Presbyterian Church as our Preschool Director. Joan has been involved in education for much of her life. 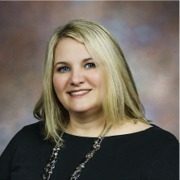 Her degree is from St. Andrews Presbyterian College in early childhood education. After moving back to Greensboro in 1989 Joan took a break from teaching and was a stay at home mom for 5 years. 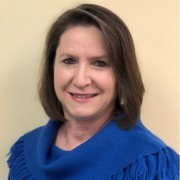 She began her pre school work in 2001 first at Guilford Park Presbyterian for 6 years and then was the Director and teacher at Oak Ridge Presbyterian Church until she was called to be our new leader. Joan and her husband Erick have been married for 23 years and are the parents of 2 boys ages 19 and 15. She has been a Den leader and committee chair in both Cub and Boy Scouts. She enjoys reading, cooking and hanging out with the family. She is a member of St. Pius the Tenth. Detroit, Michigan was my place of birth, then I moved to south Florida. I grew up in Boca Raton, Florida. I studied Fine Art and Marine Biology at FAU. I married Larry in 1984. My favorite activities are fishing and photography! I am blessed to have two beautiful daughters who reside in Charlotte,NC. I have been part of the staff at JPC since 1996, teaching a 4 yr. old preschool class for 11 yrs. and the Director of the After-School Program. Children are our future, I feel so blessed the church provides a fun, safe place for them to flourish and be enriched in a Christian community. Christine, a native of Taiwan, has served as organist and pianist at Jamestown Presbyterian Church since 1998. She received her original training at Taipei Municipal Junior Teachers College and at the National Taiwan Normal University. With a background in music education, she counts among her accomplishments five years as a teacher in the Taiwan school system. In 1985, Christine immigrated to the United Sates. She earned a B.S. degree in Accounting and Information Systems, a B.M. degree and a M.M. degree in Piano Performance from the University of North Carolina at Greensboro. She has been married to Ken since 1983, and they have one young adult son, David.